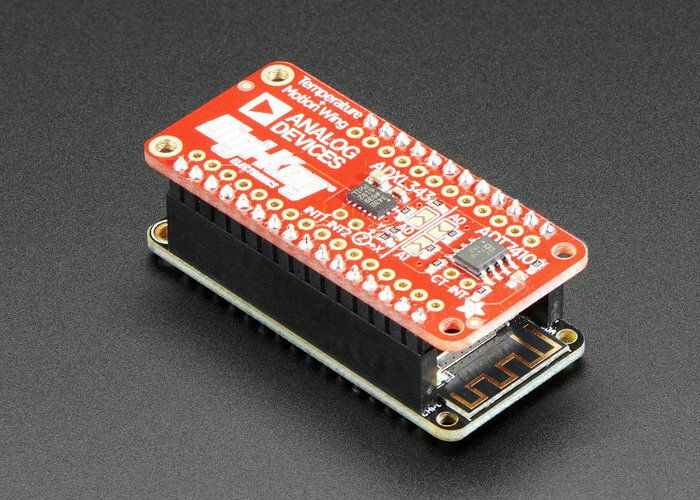 Adafruit has this week announced the arrival of the new FeatherWing sensor board equipped with an ADXL343 triple-axis accelerometer and an ADT7410 precision temperature sensor priced at $11.95. Both sensors are connected over the shared I2C bus, so you can use it with any and all Feathers. “We also break out the interrupt pins and address-selection jumpers in case you want multiple Feathers or have I2C address conflicts. We’ve got both Arduino (C/C++) and CircuitPython libraries available so you can use it with any Feather board and get data readings in under 5 minutes.